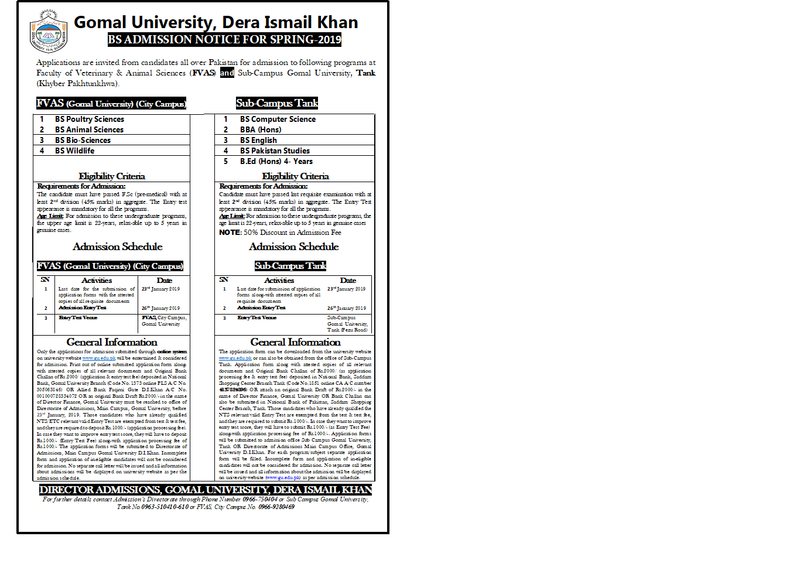 DI Khan, Gomal University DI Khan has announced the GU DI Khan BS spring semester 2019 admission notice for the candidates to give them admission in the relevant disciplines. 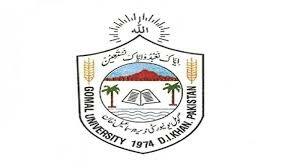 Gomal University has offered the admissions to the students in the Faculty of Veterinary and Animals Sciences in the main campus at DI Khan and sub campus at Tank, KPK. The candidates can send their admission forms for GU DI Khan BS admissions 2019 Spring Semester by the closing date of 23-1-2019. The students will have to appear in the admission entry test on 26-1-2019 at the same campus and the qualified candidates will be granted admissions in the same disciplines.